During the Nuclear Security Summit, which was held on March 24th and 25th in the Netherlands, Reuters captured video of presidents and prime ministers from all over the world wearing a very peculiar pyramid-shaped pin. Those that have studied secret societies and the occult know that the unholy pyramid is a very dark symbol that represents some of the deepest secrets of the elite. When it shows up in a very public forum like an international summit meeting, it is usually not by accident. As I will discuss below, thanks to Freemasons we even find this highly occult symbol on the back of all one dollar bills. Of course the cover story is that all of these world leaders were wearing pyramids to support “nuclear security”, kind of like if you want to support breast cancer you pin a little pink ribbon to your jacket. And you never know – perhaps that is all that this was. But when I watched this video for the first time my jaw just about hit the floor. Nuclear terrorism is officially the main topic for world leaders at a two-day summit in the Netherlands starting Monday. In practice, the Ukraine crisis will likely overshadow those talks. The Nuclear Security Summit in the Hague will form the backdrop for an emergency meeting of Group of Seven leaders on Russia’s annexation of Crimea. It’s a confrontation between Russia and the West reminiscent of the Cold War. When I first watched that video, it reminded me of a really bad apocalyptic movie. Except that it was real. World leaders including President Obama, U.K. Prime Minister David Cameron and Chinese President Xi Jinping played a “nuclear war game” designed to test how they would respond to a global terrorist attack at a high-level meeting, the Telegraph reported Tuesday. The leaders also included German Chancellor Angela Merkel, who according to the Telegraph was unhappy and did not want to play the game. The game took place at the nuclear summit at The Hague and included dozens of other heads of state. It required leaders to respond to the scenario of a terrorist attack with a “dirty bomb” in a big Western city. Leaders had to answer a series of questions on how they would respond to the attack as the game progressed and new challenges arose. Let’s hope that game does not foreshadow any real events. 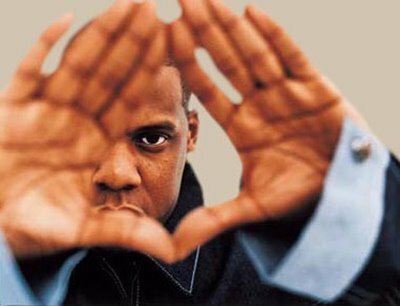 So what is the big deal about wearing pyramids? Roosevelt, as he looked at the colored reproduction of the Seal, was first struck with the representation of the “All Seeing Eye,” a Masonic representation of The Great Architect of the Universe. Next he was impressed with the idea that the foundation for the new order of the ages had been laid in 1776, but that it would be completed only under the eye of the Great Architect. Roosevelt like myself was a 32nd degree Mason. When people do take the time to study this image, what usually jumps out at them right away is the phrase “Novus Ordo Seclorum”. That phrase is usually translated as “New Order of the Ages”. At the top is another phrase – “Annuit Coeptis”. It is usually translated as “He approves of our undertakings”. But who is the “he” in that phrase? 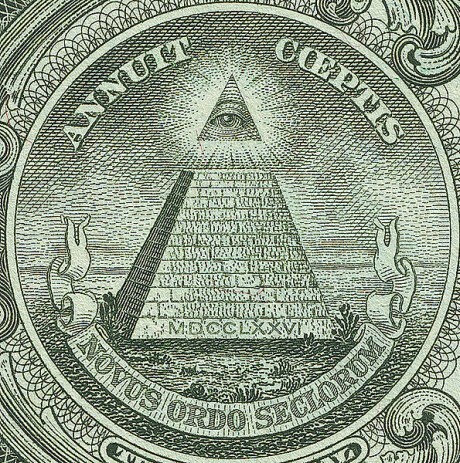 And this pyramid on the back of every dollar bill is actually a prophecy that reflects the occult belief that one day Osiris will rise again and take his place on the throne of “the New Order of the Ages”. The god Osiris was the central figure of the Egyptian ruling dynasties, and the golden sarcophagus of King Tut (below) was actually a representation of Osiris, who was the god that King Tut trusted in for eternal life. The Egyptians back then, and the highest initiates of Freemasonry today, actually believe that this ancient mythical figure will rise again to rule the world once more. -Manly P. Hall, The Secret Teachings of All Ages (New York, NY: Penguin, 2003), page 120. That is why it is so alarming that we are starting to see the pyramid and Egyptian symbolism start to pop up all over the place. You can find it in popular novels, video games, television shows and movies. There seems to be a major push to make this stuff part of the mainstream culture. Perhaps it meant nothing that all of those world leaders were wearing pyramid-shaped pins this week. Perhaps it was just an innocent coincidence. But these things usually don’t happen by accident. The elite of the world are absolutely obsessed with this stuff, and they believe that the return of their occult Messiah is just around the corner.